Worries over the weather failed to put crowds off heading to Wrangle Show on Sunday. 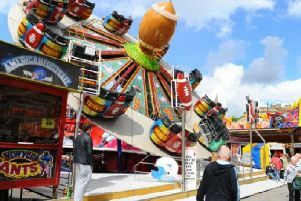 The 39th annual event since the current organisers took over had plenty to do, from acrobatic and equine displays in the main arena to musical performances in the marquee. Show secretary Adele Trodd said: “It was very, very good. She said the entertainment drew big crowds of people. There was also a fly-past by a Hurricane from the Battle of Britain Memorial Flight. The group are now looking at how they can celebrate next year when they mark 40 years of organising the show. For more information check out the show’s Facebook and websites.